The state has previously used its property markets as a launching pad for its non-oil driven growth prospects, but the debt-fueled boom of 2007-2008 threw a proverbial wrench into that design, and the entire plan truly went bust. Since the golden days of yore (mid-2008), property prices in the region have fallen by more than 80%; however, Dubai properties took the greatest beating due to their increased foreign exposure (here sales have fallen by more than 70%, while 60% of total property value was washed off following the financial crisis). Experts believe this decline to persist as more projects near completion, and the market is further inundated with housing that will scarcely fetch the starry prices which developers originally foresaw. In contrast to the property sector, the UAE airline industry is gaining continued momentum. While property developers in Abu Dhabi halt projects, and lay off workers; the capitals airport keeps building. The Abu Dhabi International Airport (ADIA) is said to add a Midfield Air Terminal to its current facilities in order to eventually accommodate an estimated 47 million passengers per annum. Its designated carrier, Etihad Airways, presently holds a fleet of 62 planes, and has ordered an additional 100 during the just concluded Dubai Air Show. The popularity and outreach of the airline has resulted in increasing airport traffic at ADIA by 19.7% from 2006 till present, which is further expected to build on current numbers at an average rate of 1.5% per annum. The terminal is in addition to the already continuing redevelopment taking place at AIDA, which in itself is expected to increase the facility’s ability to handle at least 20million passengers once finished. The Emirati states have been able to attract a growing number of tourists to their ports regardless of the sustained lull in global financial markets, and the precarious political situation in the Middle East. The UAE offers a strategic pathway to the coveted markets of China and India; the authorities realize that with time demand for its routes will only rise as its two star carriers Emirates and Etihad continue to expand outreach and passengers swell. Infrastructural and capacity building is thus ongoing at full speed, with the Abu Dhabi government alone pledging to inject $500million dollars into its tourism and industry in order to better position the capital as a global player in the aviation industry, and in effect increase its non-oil sectors GDP contribution from the present 41% to an estimated 64% of total receipts. The Sheikhs for the first time are not channeling their energy and resources into developing behemoth structures that only feed their fancies, but are instead setting off to exploit another actual untapped gift of natures’ their states strategic positioning on the world map. Given UAE’s abundant oil reserves, the fortunes of its citizens will surely proceed to grow; as it is the economy expands by 3.8% this year (vs. 1.4% in 2010). 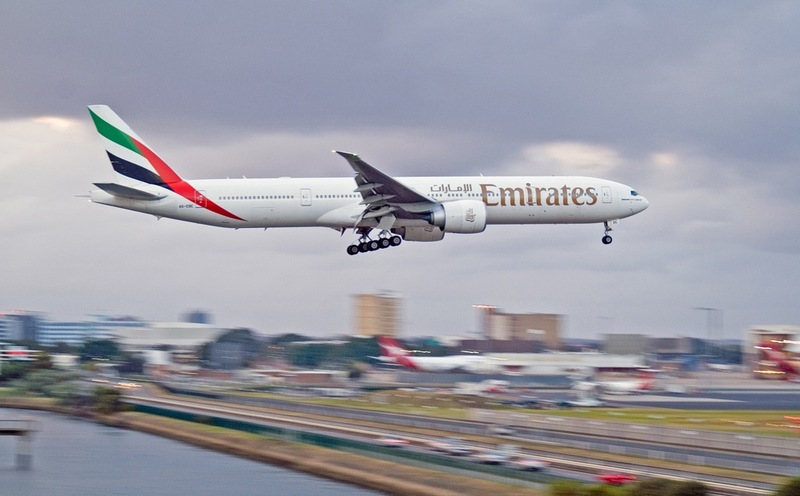 From where we stand, the airline industry will easily airlift the Emirates out of the current global gloom, and once recovery begins offshore, it will also fly in more investment back home.